After many years of planning to change lake Langisjór, located at the western edge of Vatnajökull, into a reservoir for energy production, Landsvirkjun’s fantasies have finally been permanently ceased. Last Friday, July 29th, Iceland’s Ministry of Environment announced the publication of a regulation to validate the enlargement of Vatnajökull national park, which includes the protection of Langisjór and partly the volcanic canyon Eldgjá and its surroundings. The regulation is the final step in an agreement, signed in February this year, between the Ministry of Environment and local authority of Skaftá district concerning the enlaregment of the national park, based on the priceless value of the area’s natural features. This manifests the full realization of one of Iceland’s environmental movement’s biggest victories. Landsvirkjun, Iceland’s national energy company, intended to channel river Skaftá to river Tungnaá river through Langisjór, which would effectively become a reservoir. The Skaftá dam (Skaftárveita) would have added another 7 km2 to the lake-reservoir with the purpose of increasing the energy capacity of planned dams in rivers Þjórsá and Tungnaá. The three planned dams in Þjórsá have been met with fierce local and national opposition whereas the construction of Búðarháls dam in Tungná is already taking place, its energy meant for increased aluminium production in Rio Tinto’s Alcan smelter in Straumsvík. Effectively, the damming of Langisjór would lead to a sediment build-up and increased turbidity which would destroy the lake ecosystem. The enlargement of Vatnajökull national park involves two areas, which in total match 420 km2. 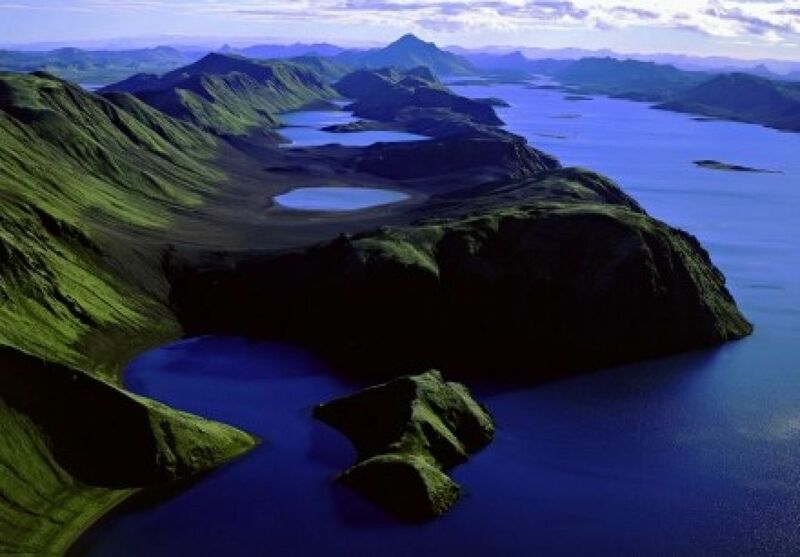 On the one hand is the area of lake Langisjór, one of the biggest pristine lakes on Iceland’s highlands, and mountains Tungnárfjöll, which wilderness and unique formations are linked to volcanic activity on large-scale eruptive fissures. Amongst those are tuff ridges Grænifjallagarður and Fögrufjöll, which maturated during a Pleistocene volcanic eruption, as well as the north-east part of volcanic canyon Eldgjá, which in 934 spouted an enormous lava eruption. On the other hand is the uppermost part of the Skaftáreldar lava, south-east of volcanic fissure Lakagígar, which formatted during the well known 8 month long Laki and Grímsvötn eruption in 1783-4. 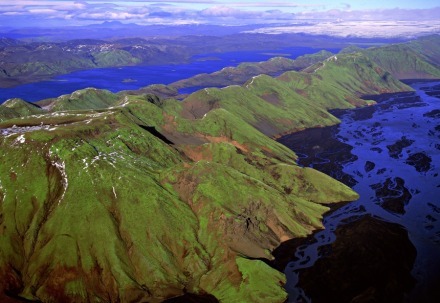 Including the Skaftárledar lava in the national park is meant to protect the extremely uncommon biotope of the area. According to geophysicist Helgi Björnsson, Langisjór and its surroundings make an unique area on a global scale as nowhere else is such enormous volcanic activity to be found under a Pleistocene glacier. 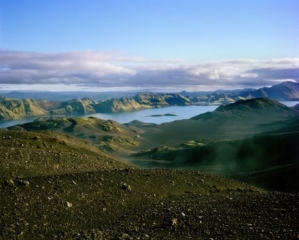 The natural monument consisting of Lakagígar, Eldhraun and the tuff ridges lying from Grænfjallagarður and north-east on Langisjór’s both sides, has an unique educational and scientific value, and is considered likely to get on the UNESCO World Heritage List. The Eldgjá lava from 934 and the Skaftáreldar lava from 1783-4 are the biggest of their kinds during the last several millennia. Would Landsvirkjun’s ideas of changing Langisjór into a reservoir been realized it is considered that Langisjór would have filled with mud, all the way south to Útfall, in 80 years, and in about 150-250 years the whole lake would probably have been half-filled with mud. Roads would have been counstructed in the area, which along with dams, reservoirs, dikes and other structures, would have completely changed the area’s countenance for futurity. As a part of the plan to heavy-industrialize Iceland, the right-wing government of Sjálfstæðiflokkur and Framsóknarflokkur (in power from 1995 to 2007, Framsóknarflokkur then replaced by social democrats Samfylkingin) excluded Langisjór and its surrounding area from the Vatnajökull national park in order to able the way for Landsvirkjun’s plans. Early in 2002 the management of the much debated Energy Master Plan of Iceland, published a temporary report on the valuation and comparison of possible hydro power projects, especially done for the government to compare different options with the infamous Kárahnjúkar dam, which then was in its beginning stages. The report – in which it stated that the environmental impacts of Kárahnjúkar dam would be the highest of all, which still did not cease its construction – displayed Skaftárveita not only as the most economically valuable project but also as one of the least environmentally destructive. Such statements have systematically been objected by environmentalists, who now, by the officially declared protection of Langisjór, have seen one of their biggest victories realized. A slide-show of photos from the area surrounding Langisjór can be viewed here.